A few weeks ago I got a present from my IETF friends: a Mavic Pro drone. Thank you! We've already played a lot with it, me, Olli, Janne, and many of our friends, with everyone having loads of fun with the device! Although there's a lot to learn for drone newbies. Olli even got interested enough to order parts for his own open-source drone. And it is an amazing device. I've tried some copter toys before, but this one is the first one that is actually easy to fly. It does exactly what you want it to do via the controls, and if you let it go it stops right there, whatever the speed, be there wind or not. It flies automatically back home, and recognises precise landing spots through video. The radio range is impressive 7 kilometres, and the drone flies roughly 25 minutes on a single charge. 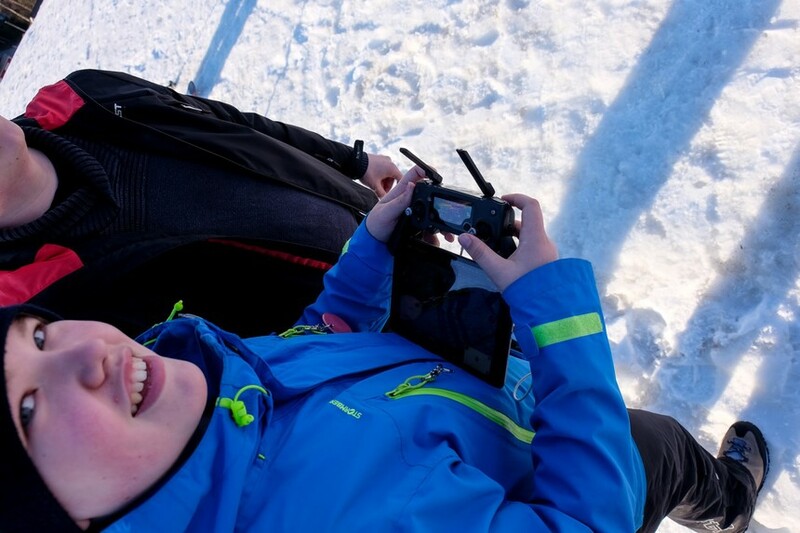 The basic drone controls are on a dedicated device that attaches to your own smart device. 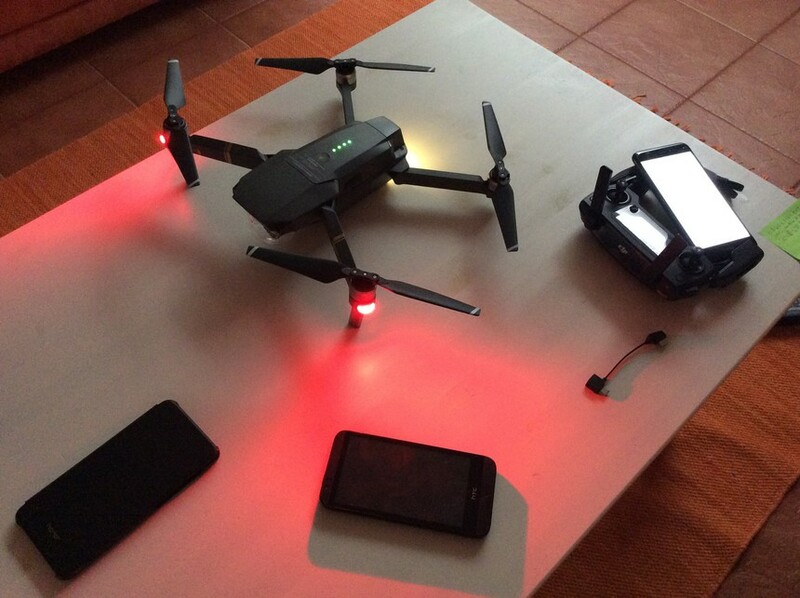 The smart device is the user interface for the more advanced functions, shows video feed from the drone, locates the drone using a map, and so on. I'm using my iPad mini for this purpose. And some of the tech in the drone is even scarily powerful. You can click on a person on the screen and have the done follow it merely based on image recognition. The above was a somewhat disturbing clip of the scary people-following tech inside this drone. Of course, the one application I had in mind was skiing. 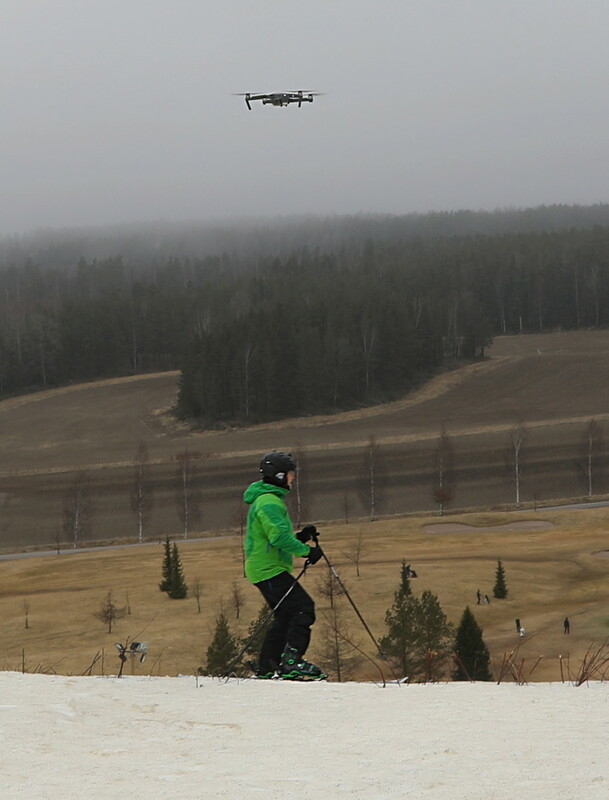 We've now tested it a couple of times in the closed ski areas nearby. 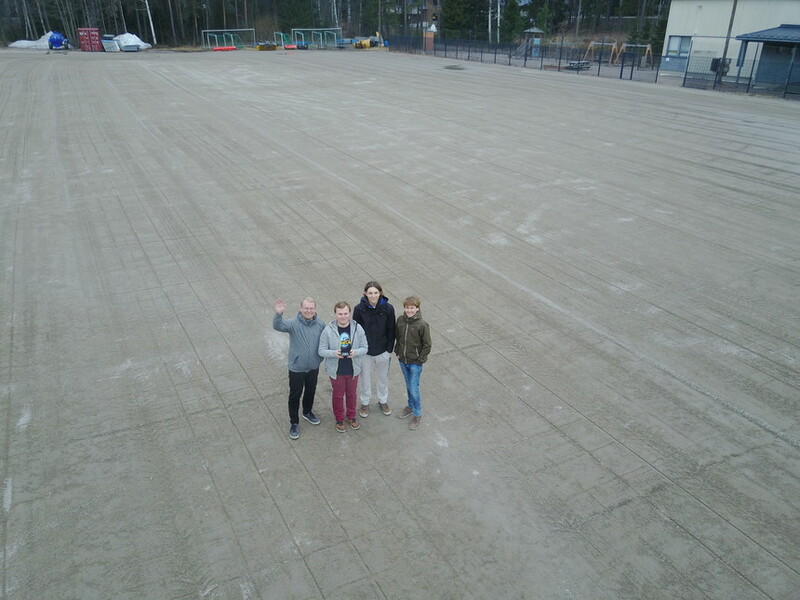 First in Peuramaa, when Kauniainen was still surprisingly open last weekend. And this weekend then in Kauniainen. The snow conditions are by the way excellent, all slopes still fully covered in good snow. 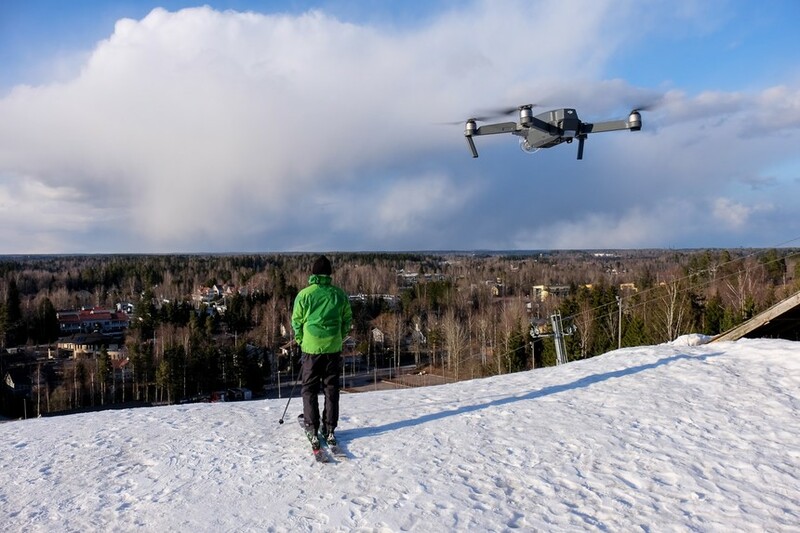 The Mavic Pro shoots 4K video and the default settings produce the views as they were, in high-quality and without burning out or underexposing any of the details. 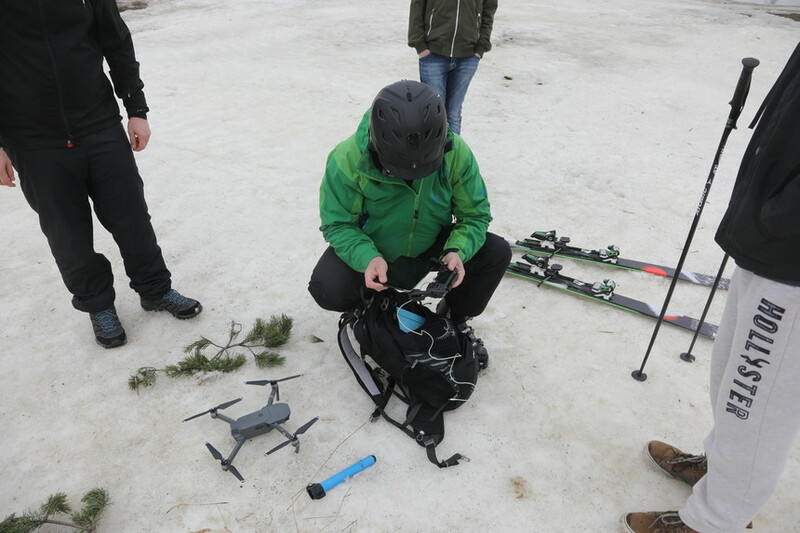 The drone has a number of automatic modes, from following its controller on GPS to tracking based on image recognition and automatic lift-off and return-to-home features. 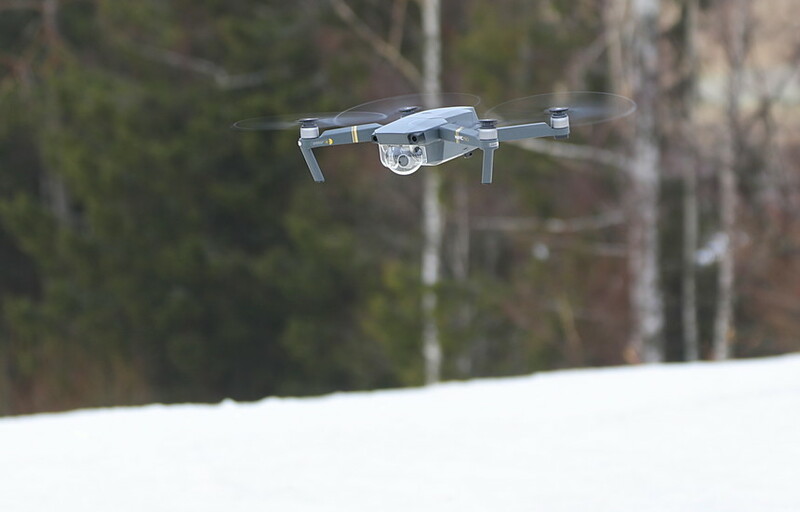 The image-recognition-based tracking modes can also have the drone fly on the side of the target or circle it, with camera pointed to the target at all times. We have not tested all of those modes yet though. 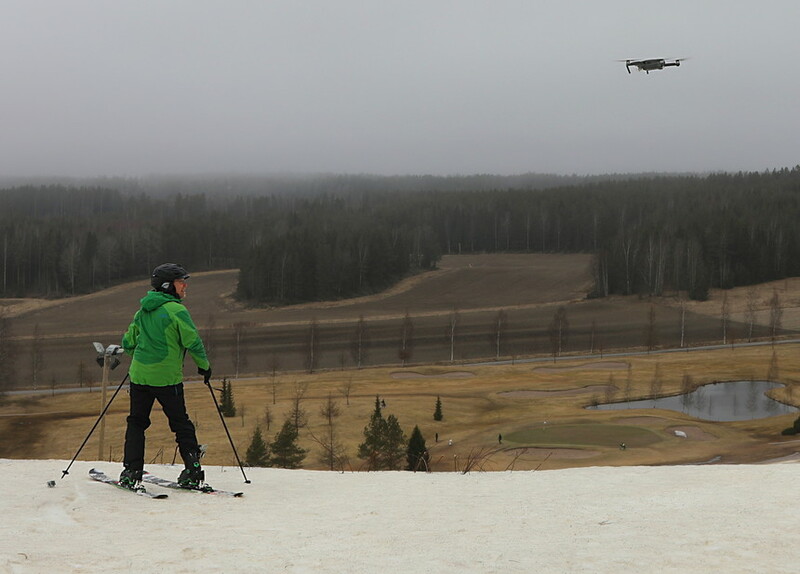 Initial experiences from the basic video-based follow mode indicate that snow is a good high-contrast environment to ensure that the drone can see the target clearly, but that the drone needs some manual control in addition to the automation to adjust flying altitude as the skier descends. Photos and videos (c) 2017 by Jari Arkko, Olli Arkko, Tero Kivinen, and Jarmo Ruuth. This blog is also available at the Blogspot site. Tämä blogi löytyy myös suomeksi Relaasta.